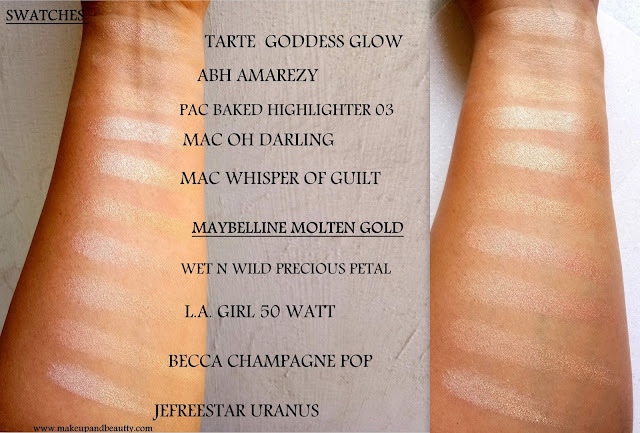 "IF YOU CAN'T SEE MY HIGHLIGHTER FROM SPACE THEN I AM NOT WEARING ENOUGH"
- Talking about highlighter, it is a first thought that came into my mind. I love highlighter. The more I am learning makeup I am much into blinding kind of highlighter. 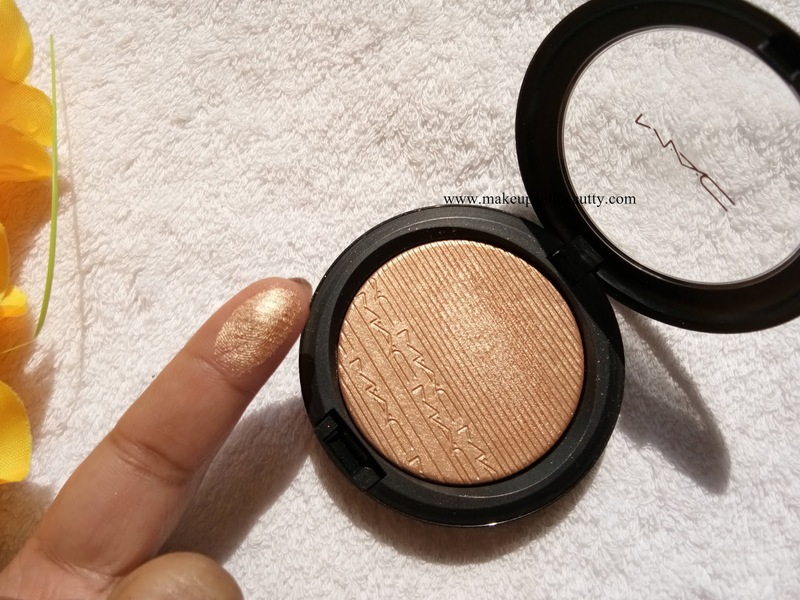 MAC COSMETICS OH DARLING HIGHLIGHTER is a medium gold with strong warm undertones highlighter. 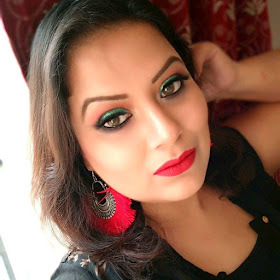 It has a metallic sheen that upgrades your simple makeup at one level up. It is highly pigmented which applies smoothly on my skin. The highlighter picked up well with a dense brush and for that, I have MAC 140SES dense fan brush. Price:- Rs.2800/- for 0.31 oz of product. Availability:- MAC STORES, NYKAA, MYNTRA, SHOPPERS STOP (APP). The highlighter is one of the hottest selling highlighters in MAC COSMETICS and so after launching it as a limited edition for a couple of times in past, it is now included in the permanent range of highlighter. I picked the highlighter from the permanent range and so it comes in black packaging with a transparent lid. 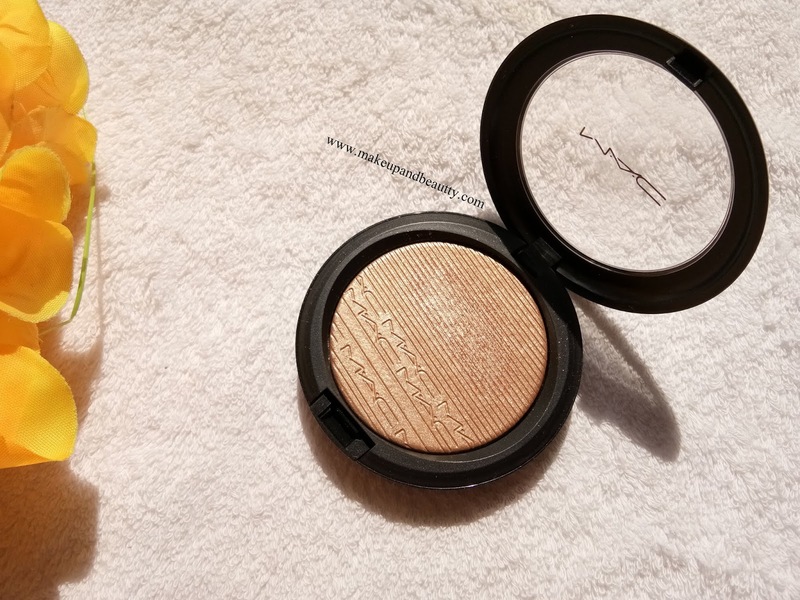 The highlighter has some design in it and the name "mac" written in it which makes it look beautiful and luxe. The highlighter applies smoothly on my skin. It blends pretty well giving a sheen look which is buildable. It doesn't enhance my pores and stays pretty 7-8 hours on my skin. 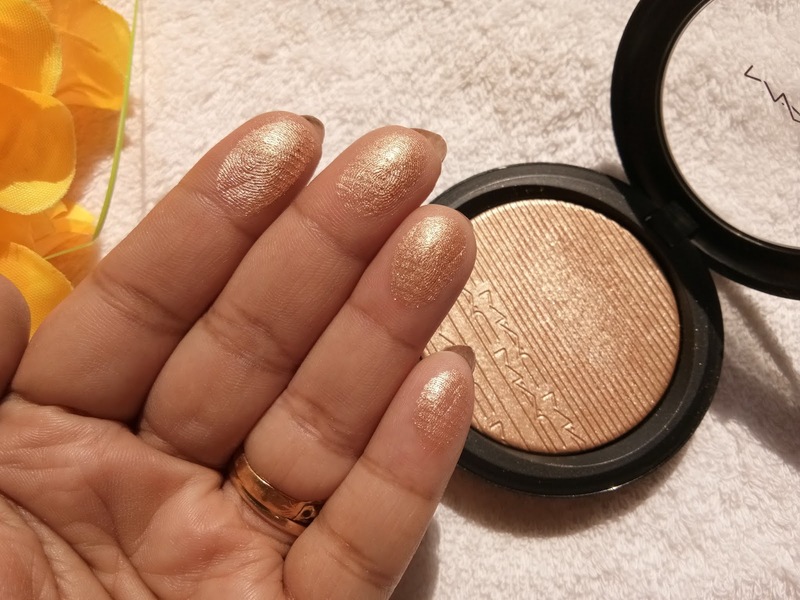 The highlighter is one of my favorite highlighters and if you like blinding kind of highlighter then definitely you should try out this one. The highlighter "OH DARLING" is a pretty dupeable highlighter. 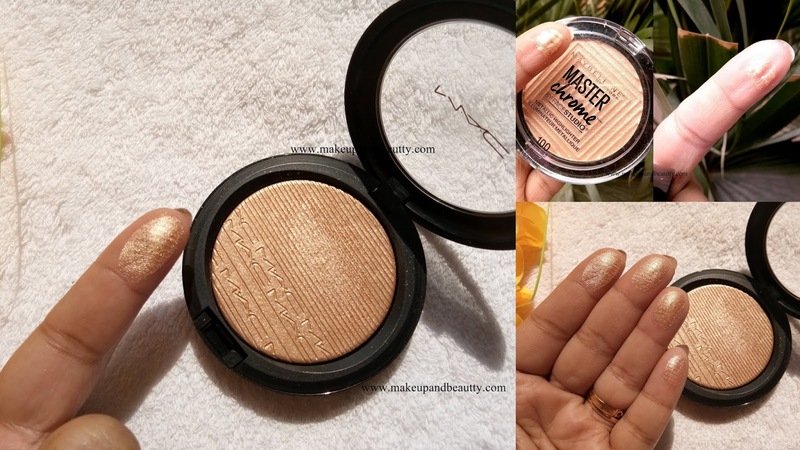 The most dupeable highlighter of it is MAC WHISPER OF GUILT.